success and a healthy lifestyle. ​​The Children Shall Lead Them Productions will be having an open auditions on Saturday, February 3rd, 2018 @ Milo Grogan Recreation Center from 12 to 2pm for young people ages 6 to 16 years of age for our upcoming productions. Youth should come prepared to present a song, skit, poem, comedy act, dance or any form of creative expression. We are also recruiting stagehands to help with the production. The Children Shall Lead Them Productions cordially invites you to Our Final Presentation of our Talent Showcase: Journey Thru Time Part 1: Liberation Thru the Arts on Saturday Feb 27th 2016 7 to 9pm @ Barack Community Recreation Center 580 Woodrow Ave Columbus, OH 43207. 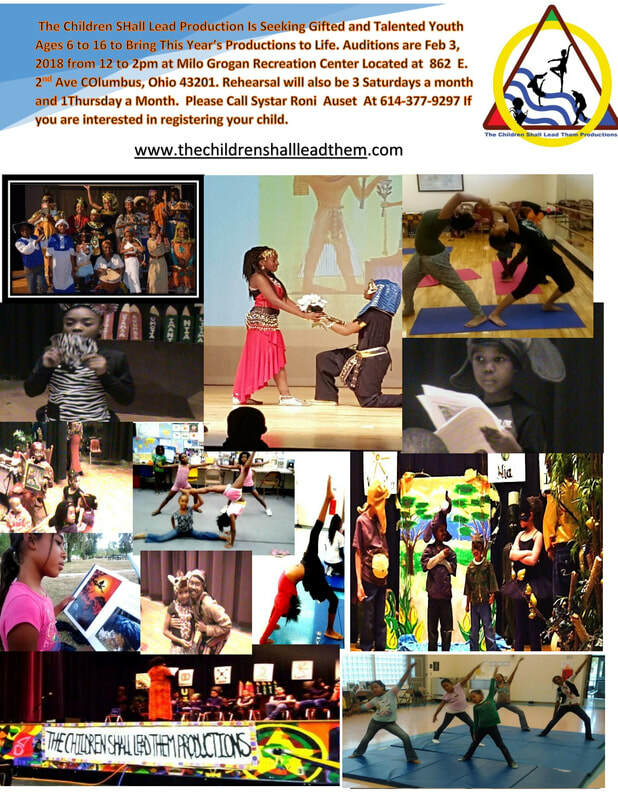 The Children Shall Lead Them Productions will present an educational and entertaining musical play that teaches and demonstrates through dance, poetry, and storytelling the achievement of African history and culture. Please joins us and support our children in telling our story! Creativity is the Highest Form of Intelligence! ​Thank you so much Kings Arts for the space and resources to create a successful children's play. The Children Shall Lead Them Productions in partnership with the Kings Arts Complex has produced a multimedia presentation entitled, A Journey Thru Time: Liberation Thru the Arts. This presentation incorporates the performance arts, integrated with our story, and combined with the gifts and talents of our watato (children). 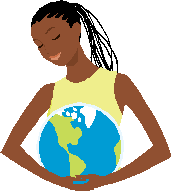 The Children Shall Lead Them Productions would like to take our audience on a creative journey through time to explore the beauty, travesties and victories of African American history from antiquity to the present. Students will demonstrate how Africans in American and the Diasporas used art to uplift themselves and transcend the adversities of enslavement and inequality. The Children Shall Lead Them Productions (TCSLTP) is a holistic youth development program that cultivates excellence in our youth by offering art education integrated with knowledge which incorporates wellness, fitness, life skills, culture, self empowerment and academic achievement through artistic creative expression. Make your tax deductible donation to The Children Shall Lead Them Productions today. Your donations helps support our mission to provide afterschool, summer school, and weekend art and education programs for children in the Greater Columbus, Ohio area. 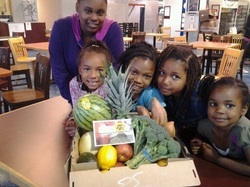 community-owned food cooperative and wellness education hub. Registration Opens May 1, 2012. Please join us as we celebrate and reaffirm the power of the Nguzo Saba ( Seven Principles) with dance, spoken words, and vignettes that bring the power principles to life. The Children Shall Lead Them Productions has just won the Franklin County Neighborhood Arts Grants for our upcoming Seven Power Principal 2010 Kwanzaa Production. Thank you so much GCAC for your support! 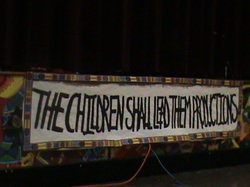 The Children Shall Lead Them Production is a performing arts program that cultivates excellence in our youth. Utilizing an integrated set of planned, sequential, strategies, activities, and services that are designed to promote optimal physical, emotional, social, and educational development of students, The Children Shall Lead Them Productions predominate objective is to cultivate the self-esteem, image, and awareness of our youth while also building literacy skills, an enjoyment for learning and a strong foundation in knowledge of self. Through various forms of creative expression students are instilled with self love and a discovery of their innate gifts through the power of the arts.